Happy Tuesday. 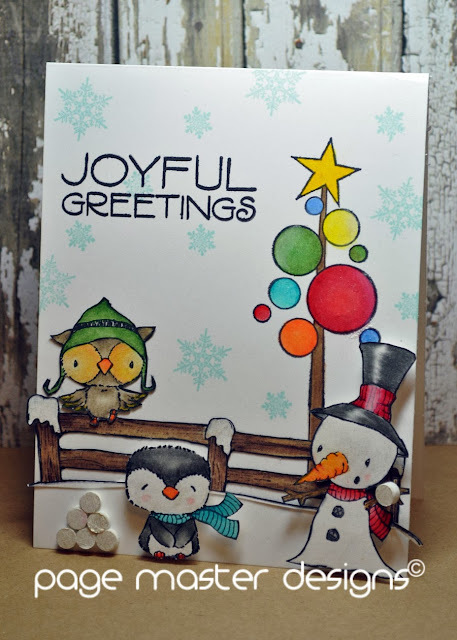 Today I am sharing a card that I made with Purple Onion Designs stamps and my favorite Hero Arts tree designed by Shari Carroll. I did some piecing. It was really a fast, fun card to make. The snowman is part of a trio but I cut him out. I used foam dots as snowballst with some stickles on them for sparkle. I colored all pieces in with my Prismacolor pencils. This is just TOO CUTE! I love your little scene! Thanks so much for playing along with us over at Simon Says Stamp Wednesday Challenge!